So is this what they think the typical book-orderer is inclined to buy? 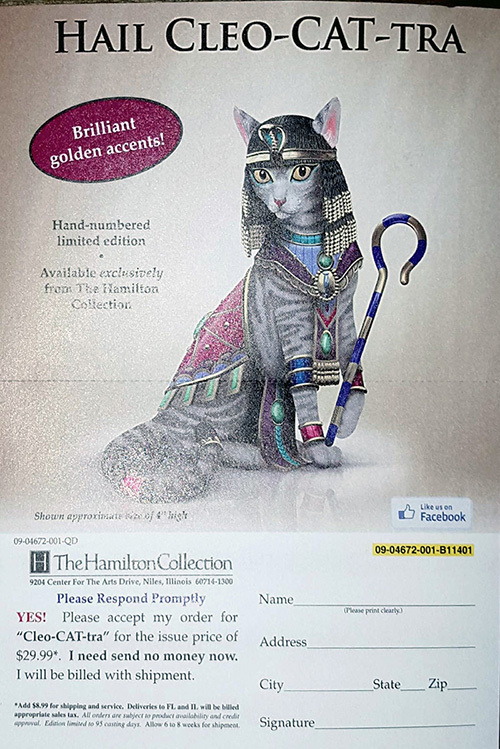 Do they have me profiled as–not even a cat lady–a cat statue lady? …Ok I say this disbelievingly yet one of the few things I have on my desk is a cartoon cat figurine. But that’s the only one, I swear! No it does not have ‘sultry’ eyes.